The Swedish narrow gauge society was founded in 1976 at a time, when no commercial models of Swedish narrow gauge equipment existed. The aim of the society was to bring Swedish narrow gauge modellers together and to get information about what was avaiable abroad. There are a little more than 600 members of the society, and most of them prefer Swedish prototypes. With American protypes as the second choice. HO with 9mm or 10,5mm track gauge is very popular. There is also a small but very active group that models in 7 mm scale on 16,5mm track. Other members do everything between Nn3 and 1/6 scale. The society´s magazine ”Smalsparigt” is published four times a year. There are one annual meeting and several model meetings each year. Become a member and subscribe to our magazine! Citizens outside Sweden can become a member in ”Smalspårsfrämjandet”, and receive ”Smalspårigt” for a whole year (four magazines) for as little as 225 SEK. The articles are mostly in Swedish, or occasionally in some other Scandinavian language. Send an email to: medlemsregistrator@smalsparigt.org, explaining your interrest and you will receive instructions on how to pay. 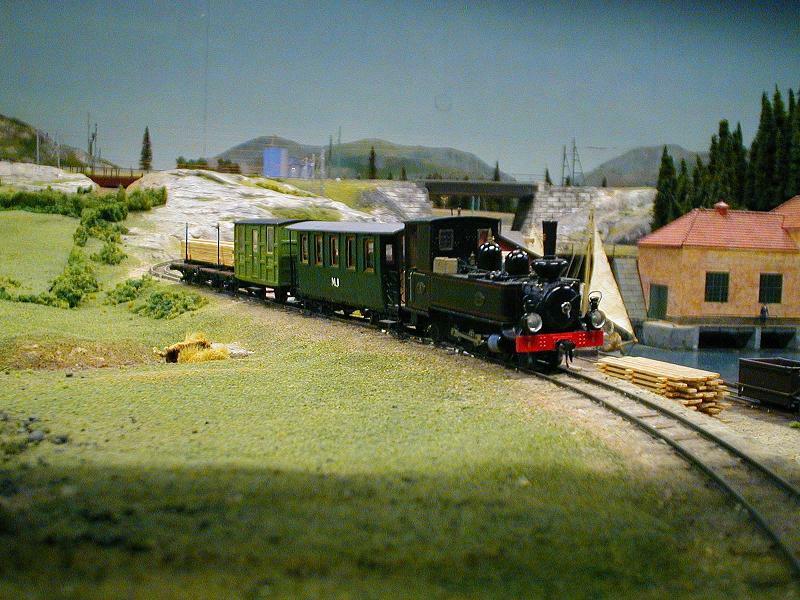 We are fortunate to have quite a few manufacturers of Swedish narrow gauge models in Sweden! Bygg svenskt has some narrow gauge rail cars, shunters and goods waggons – some in scale 0, some in scale H0. Erik Walde makes etched kits with brass castings for 7mm scale 3 fot Swedish protypes. One very popular model is the diesel shunter Z4p. He has also made a steam engine kit. His production also includes 4-5 freight and a passenger car. Unfortunately he doesn’t have a homepage. In HO are Rimbo Grande the largest, they have an almost complete selection of swedish narrow gauge railbuses in HOe/HOn3 but also an EMU and much more. They also produce standard gauge railbuses and wagons. In Oe/On3 they have a single railbus available. In ’O’ scale is Tobias Ljung / Ljungs mekaniska also producing models. His production is aimed at Swedish 60 cm gauge prototypes designed for On2 (1:45 scale, 12,7 mm gauge) but are in some cases prepared for 016,5. Learn more about his models on his homepage. Ristat och skuret seems to be the only swedish manufacturer of laser cut models. Skultorps Vagn & Lokverkstad. A small but attractive line of waggons and bee-hives. Tekno bygg has a wide variety of products, a steam loco, petrol pumps, telephone boxes, chimenys, old Volvo cars, wild animals – name it!